Discover the best hotels and apartments for your holidays in Algarve and compare the best last minute deals. Vilamoura is one of Portugal’s most luxurious and demanded touristic locations in Algarve, since it features a high-end marina, great avenues with shops and restaurants, excellent hotels, apartments, and close proximity to the best beaches in Algarve. Offering a private outdoor pool and a unique sense of tranquillity, Vila Tranquila is located in Vilamoura. Surrounded by garden this unit provides free WiFi access. Located in Vilamoura, Apartamentos Mar-Bel Sol offers access to an outdoor pool. Free WiFi is available in the swimming pool and snack-bar areas. 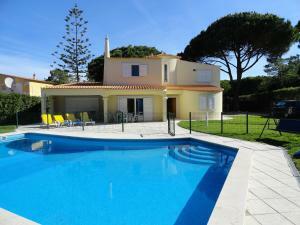 The property is 1.5 km from Vilamoura Marina.